Knowing where to go when you are facing a crisis is extremely important. We know that crisis and turmoil simply doesn’t occur between office hours of 9-5, often people are experiencing hardship at night, on the weekends and at times when community services are not open or available. 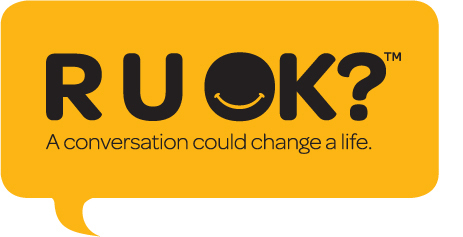 Coupled with R U OK Day? Is World Suicide Prevention Day. http://www.wspd.org.au/ This year both campaigns are working towards reducing the rate of suicide and spreading the message that suicide can be prevented. The Midland Information, Debt & Legal Advocacy Service Inc (MIDLAS) is committed to improving the lives of those suffering from mental health issues and will continue to work with our local community to raise the profile and support those with mental health concerns. MIDLAS is asking you, Are you Ok? Julia Burch, CEO of MILDAS notes, “the pace of life, expectations, the roles we play all have dramatic effect on the state of our mental health. Unfortunately many of us know of someone who has attempted to take their own lives and the pain and anguish caused by mental illness is of great concern.” MIDLAS is committed to empowering the most disadvantaged in our community by providing assistance, options, information and referral so people can experience a better way of life. Many of the issues that MIDLAS staff are assisting our community with everyday can have long lasting impact for the individuals involved as well as their families. Kalem Tymus, Tenancy Advocate at MIDLAS believes in dealing with issues as soon as you can. “The outcome for a client is more positive and favourable the earlier the crisis is dealt with. Allowing issues to spiral out of control can lead to further anguish and stress for many of our clients. More often than not, continued stress will lead to increased mental health concern.” MIDLAS can offer you real help, right now. MIDLAS offers 6 free services to vulnerable and disadvantaged people living in the North East of Perth including; financial counselling, domestic violence legal service, tenancy advocacy, disability advocacy, information and referral. If you would like to make an appointment with MIDLAS, please contact us on our website: www.midlas.org.au/contacts or by calling on (08)9250 2123. Previous Post: How are your finances?